Car accidents, falls or injuries can compress nerves, resulting in nutrients not reaching their destination. This causes the nerves to become damaged and in some cases even die. Diabetes can cause damage to blood vessels, which can lead to lessened blood supply. This damage usually affects the smaller blood vessels first. Our nerves rely on these small blood vessels to supply them with the oxygenated blood needed to keep them healthy. When these blood vessels stop delivering this oxygen, the nerves begin to die, resulting in the condition Neuropathy. People with diabetes will more often than not develop neuropathy. B-1, B-6 and B-12 are vital for maintaining healthy nerves. When nerves don’t get enough of these vitamins, they become damaged. Alcoholism and malnutrition commonly contribute to Vitamin B deficiency. When Chemotherapy is used as a form of cancer treatment, it often not only kills the unhealthy cancer cells, but also kills healthy cells leaving nerves damaged. Although sometimes, the nerves are able to heal in time, many times, the nerves are left permanently damaged. At Allstar Healthcare, our goal is to help our patients live quality pain-free lives. In order to determine what type of neuropathy you suffer from, we will be taking your personal and family medical history. Next, we’ll get some information regarding the symptoms you’ve experienced. Sometimes the physician will order tests such as an NCV/EMG evaluate your nerve function. All of this information combined will allow out providers to construct a treatment plan for your specific condition. This allows us to concentrate on treating the area where your nerve damage has occurred. Sadly, many patients will have many different sites of nerve damage. Unfortunately, many patients suffering from neuropathy may have several different sources of nerve damage. For example, a diabetic patient may have nerve damage in their feet AND a herniated disc in their lower back causing nerve compression. The key to treating these more complicated situations is proper evaluation to identify ALL sources and then focusing treatment on each problem, i.e. treating both the nerves and the disc in this example. This may bring up a concern for those people who have been told they have idiopathic neuropathy. Remember, idiopathic neuropathy means ‘you have nerve damage and we don’t know why’. Even if no one has been able to figure out exactly why you have nerve damage, we are still most likely able to figure our WHERE the nerve is damaged. We can then focus our treatment on the appropriate area. Fortunately, with our treatment methods we have been able to help many people with idiopathic neuropathy. The most recent thoughts from experts on neuropathy are that most cases of neuropathy involve ischemia, which is a lack of blood supply. Blood flow is required for any of the organs and tissues of our body to heal. Whether it be the heart after a heart attack, a muscle after a muscle strain, or your skin after a cut, or scrape, the injured area needs blood supply to heal. Your nerves are no different. Blood flow brings in oxygen and nutrients necessary for healing an injured nerve and for normal everyday function. Because of this, much of our treatment is focused on improving blood flow to the area of nerve damage. We use nerve injections, vitamins/nutritional programs, and vibration therapy in our neuropathy treatment program. 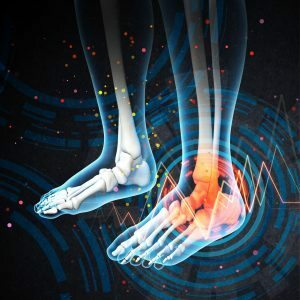 We have evaluated the benefits of countless treatments available for neuropathy, including laser, medications, lotions, creams, vitamins, acupuncture, and many others. Based on our research, our experience, and more importantly, the improvement we have seen in our patients, we believe we have assembled the absolute best treatment program available to those suffering from neuropathy.